In which my dream is prophetic. Next Post Lunch, A Short Play in Three Acts. Runs to the nearest convenience store to play the lotto! 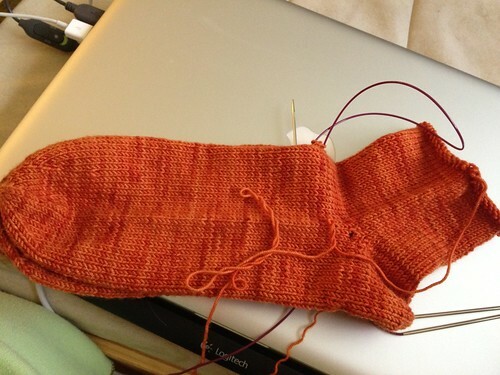 Sorry about the frogs :( But in the end you’ll get a lovely pair of bright orange socks! 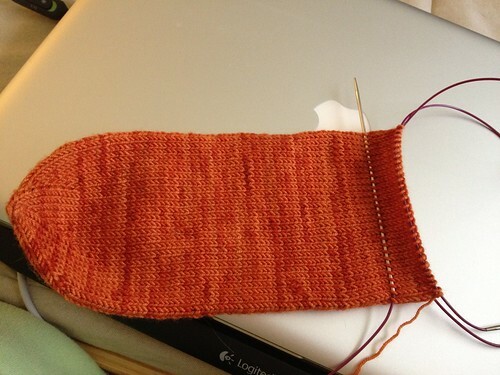 Isn’t one of the advantages about knitting toe up is supposed to be that you can check size continuously as you go? it’s never worked for me; mine are always too long. Love the orange though, so I’d frog too!